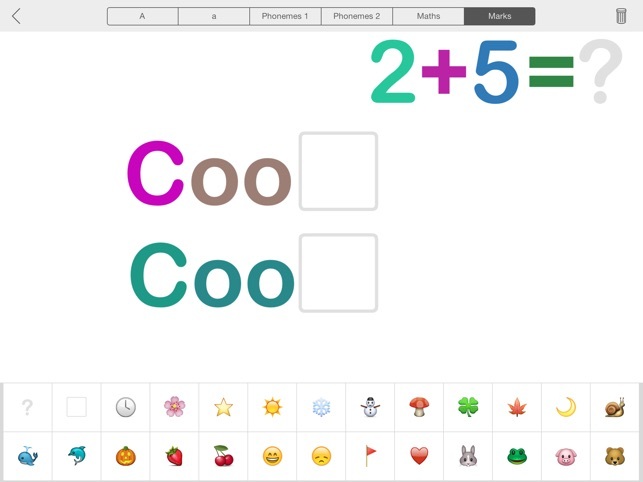 This is a handy tool for teachers and parents to teach children phonemes, words and maths. Teachers and parents can play the board with kids and show them how to pronounce a word, how to spell it or how to do a simple calculation. 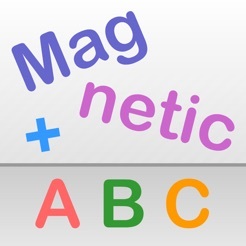 In compare with traditional magnetic board, this app provides unlimited letters, phonemes and other characters to use. Connecting your iPad with a projector, it can be directly used in a classroom teaching. 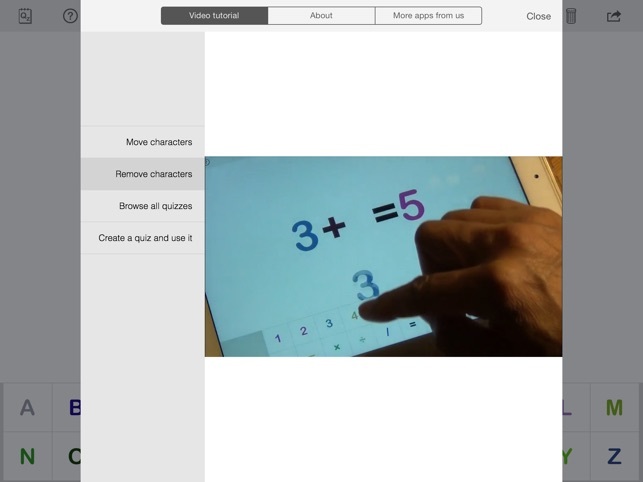 The app can also help parents and teachers to set simple quizzes for a test. 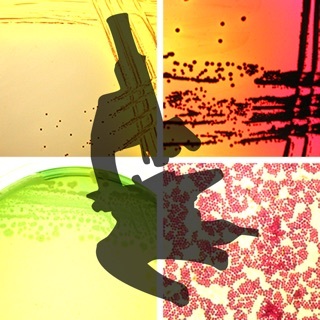 The quizzes can also be printed out for a paper based test. - Suitable for classroom teaching when connected to a projector. 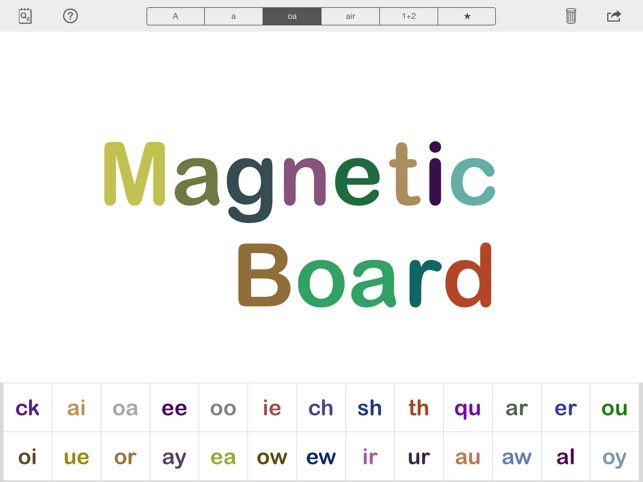 Magnetic Touch Board is a adaptable magnetic letter/number app where you can choose from using uppercase, lowercase, different phonetic blends, numbers or symbols to create words or equations on a board. 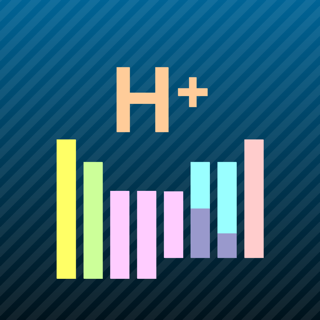 The great thing about this app, is that you are able to transform your ideas into pages, quizzes or preset graphics. Each letter or number has infinite use, so you never run out of letters. 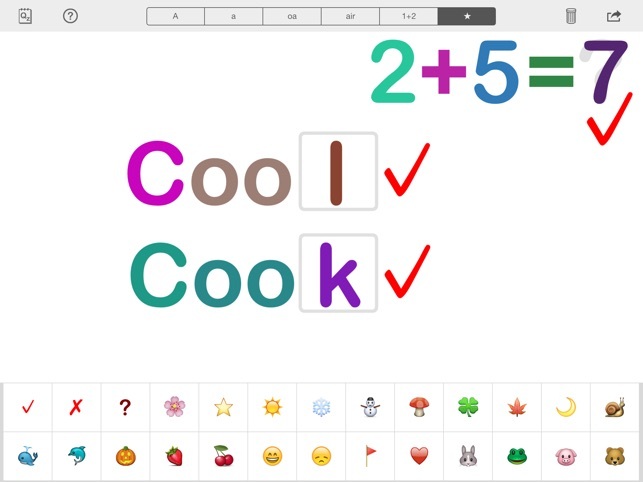 You can even use the app to project the image for setting up simple quizzes and spelling tests for a group. I would use this for name recognition, spelling, or simple math or word quizzes. 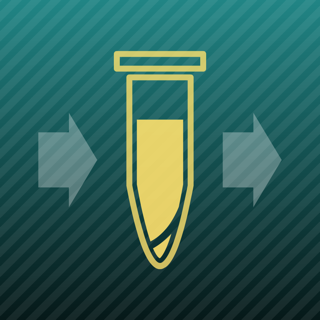 There are no ads or IAPs, and the tutorial is awesome. I just wish that I could change the color of letters.....maybe so I could spell red...in red. 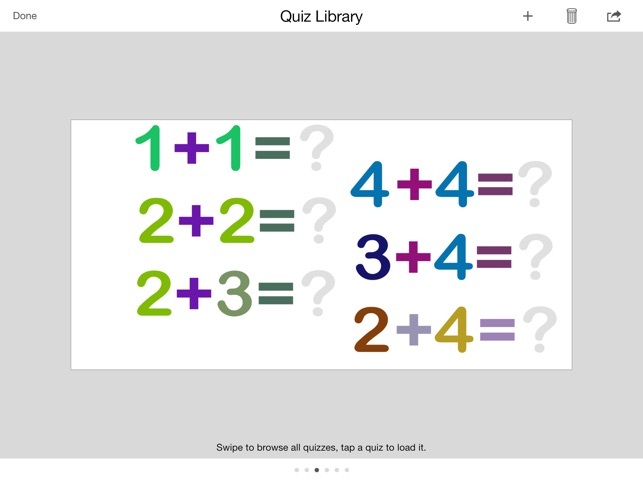 This is a fabulous tool for creating quizzes and practicing basic phonics and math skills. I often use magnetic white boards in my special education classroom and find the management of the pieces to be troublesome. 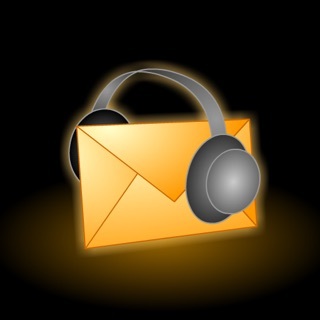 This is no muss no fuss. 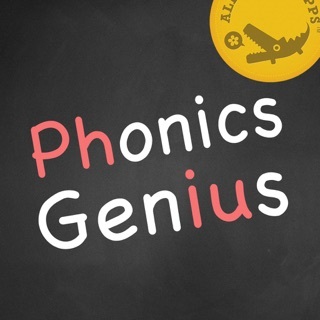 Very easy to switch between numbers, letters and phonemes with a great selection of items. One item on my wish list is the ability to write on the board.